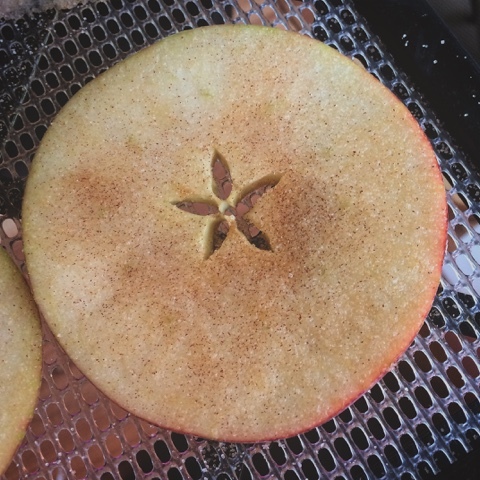 Today the kids and I made some apple chips, it didn't take long at all and they were so good... well, we almost ate every one by this evening. Grant it, we only had 3 apples to use. But that won't be the case for long, because we are hoping to pick up a bushel or two soon from our local farmers market. They are super simple. 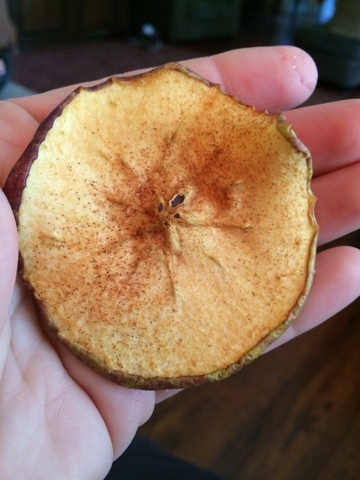 Cut the apple so you have disks, not wedges. 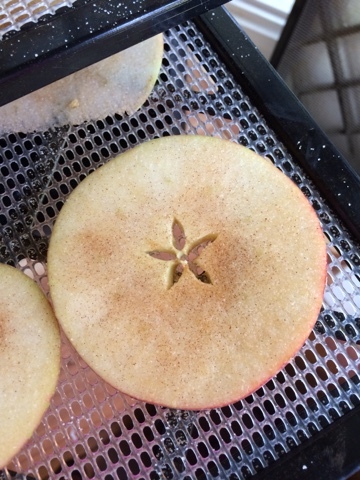 I think the apple is so pretty this way. Look! 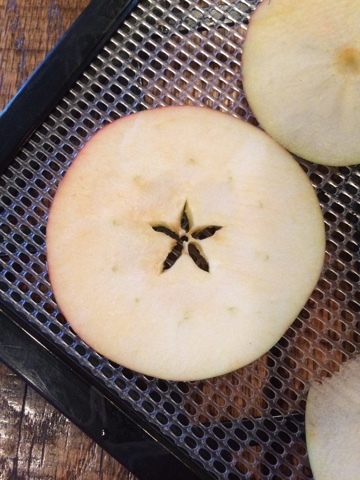 It looks like a little star or flower in the center! Make sure to remove the seeds. Sprinkle lightly with cinnamon and sugar. You could add more spices if you like. But for today, we only used cinnamon and sugar. 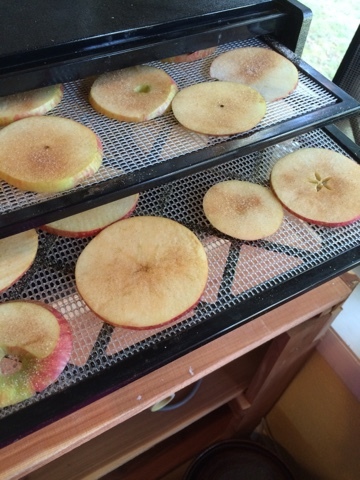 We set the dehydrator on about 150* and let them begin to dry. You could do this with your oven also. Don't dry them out completely. There is a crispness and a chewiness that we LOVED. If you want to store them for a long time, I would suppose they should be dried longer. 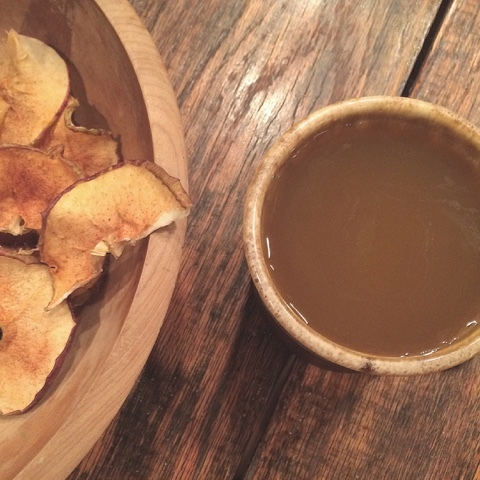 Tonight, after church, I had a cup of freshly pressed cold apple cider and a few apple chips. This looks fun. In my mind, because of where I live, I never think or try to dry anything!